Q-Pid Spreads the Love – and Eric Church Tickets! Q-Pid hit the streets with some very special Valentine’s Day deliveries! 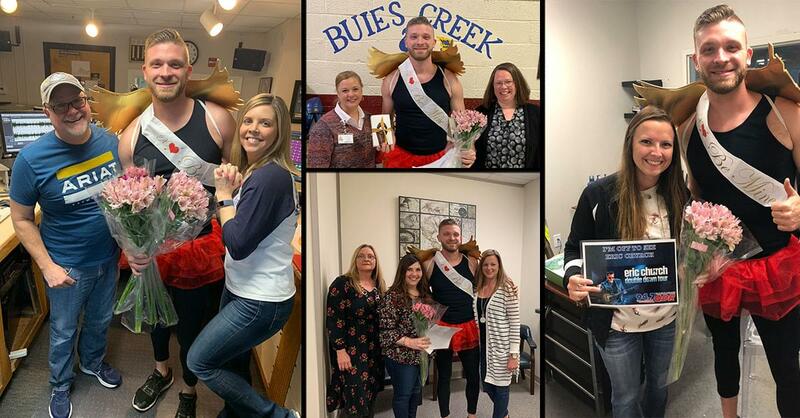 You nominated your sweethearts and we surprised four lucky ladies with a visit from Q-Pid and presented them with chocolates from Chocolates by Whitney, flowers and tickets to see Eric Church in Greensboro!